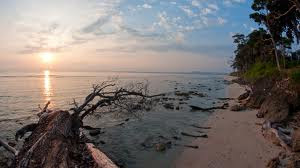 Neil Island is an island in the Andaman Islands of India. It is apparently named after James George Smith Neill, a British soldier responsible for several war crimes during the suppression of the 1857 Mutiny. It occupies an area of 18.9 square kilometers (7.3 sq mi). 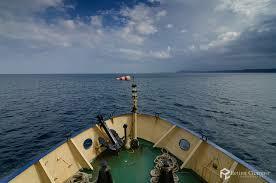 The island is located 40 kilometers (25 mi) north-east of Port Blair, the capital of Andaman and Nicobar Islands. It is the southernmost island of Ritchie's Archipelago, save for uninhabited Sir Hugh Rose Island, which is another 3.8 km to the southeast of Neil Island. Administratively, the island is in the Neil Kendra Panchayat, Port Blair sub-district of the South Andaman district, in the Union Territory of the Andaman and Nicobar Islands, India. Ferry from Port Blair to Neil. It takes 2 hours. Govt Ferries and Pvt. Catamaran M.V. Coastal Cruise operates for Neil island. Boat timings are subject to change/ cancellation due to weather and you should check the latest boat schedule at http://www.and.nic.in/ while planning for your trip. 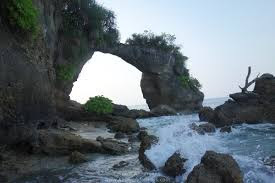 Natural bridge: A small strip of land that connects the mainland to a small(3*3) island of sorts (the rockpools around this at low tide are worth checking out). Beach #8: Snorkeling here plus a small cave to check out. Lots of shells around if you are a shell collector. Sitapur beach: Lovely sunrise. Serene beach. Good for a swim. Sunset point is the west most point of the beach west of the jetty which the guesthouses are on. Pretty sunsets. If you snorkel directly west off the point there is some wonderful snorkelling. There's sometimes a current. Snorkeling near beach with the caves and also off Havelock if you choose to take the private ride. Mantas to be seen on the ride if you are lucky. Get here in the morning. check the rockpools, snorkel then bail in the afteroon. Snorkelling is also very good around the jetty at Neil. edges of the shallow reefs have some live corals, many different kinds of fish and lots of anemones with resident clown fish. Great variety of shells are available but are not supposed to be taken from the islands. Walk around on several beaches at Neil Island.Laxmanpur beach with its white sand beach is perfect for evening walks. Sitapur beach is great for swimming and Bharatpur is a good option if you like collecting shells! Neil is a small island and there are several interesting walks all over the island.